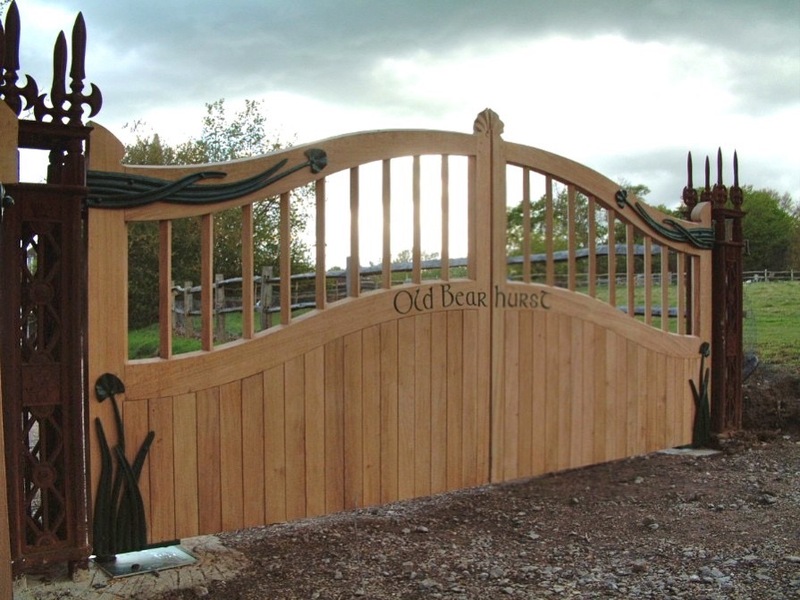 We have made a variety of Gates from Driveway to Personnel side gates, Period to contemporary in design. 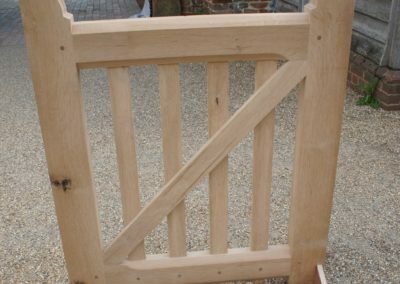 Our clients had seen the Bramber Gothic Gate on our website and asked if we could adapt the design to their own requirements and taste. 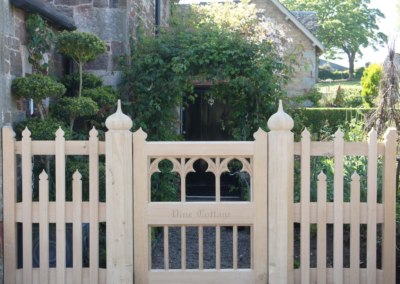 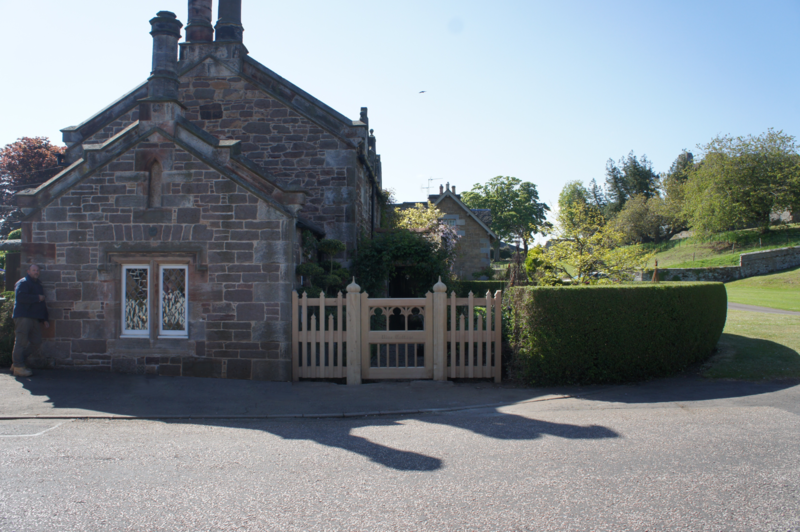 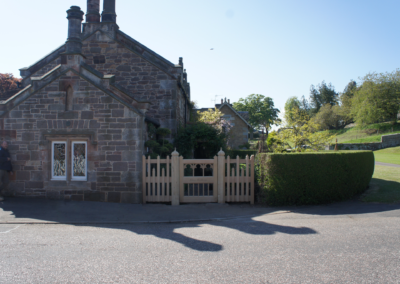 The Vine Cottage gate was of greater width and the carved panel needed to be personalised the new location sizes. 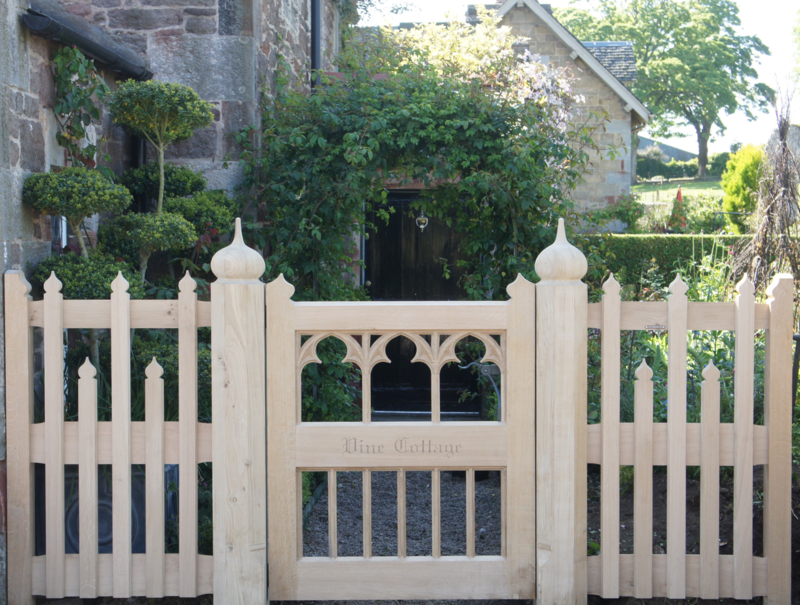 Having received photo’s and sizes of the opening prior works, we produced a design and layout and overlayed these on to the garden images which the client had sent us. 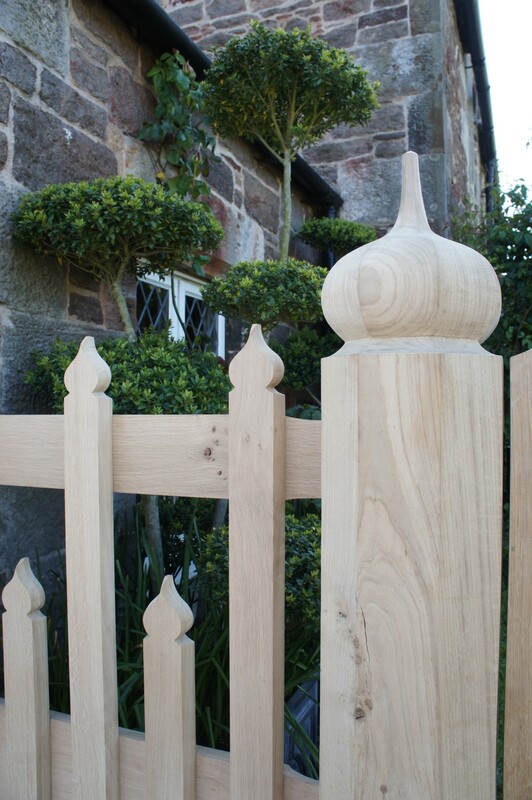 These renders gave a scale of product in location without us visiting the site as this was 450 miles from our workshop. 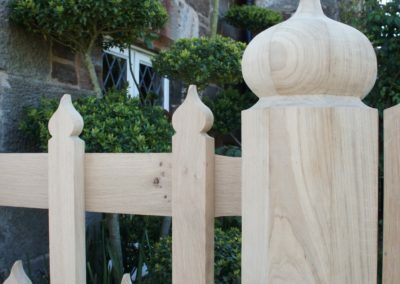 The use of renders allow us and the client to play with positioning heights and balance of product until happy with design, without cutting any materials!! 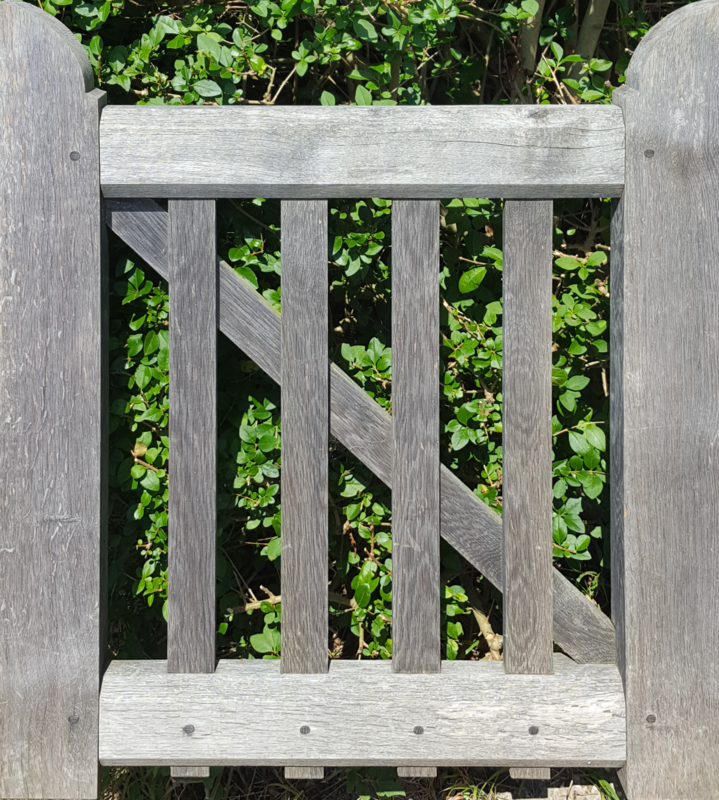 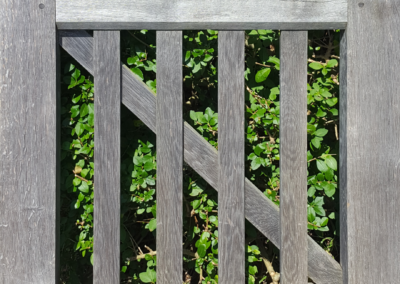 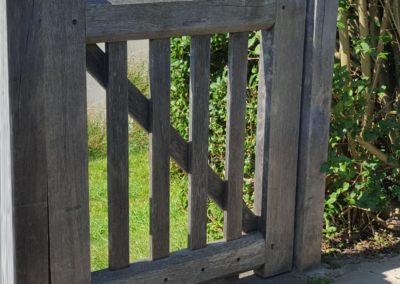 The gate and pickette fence was made from English oak which was air dried, the posts were ‘green’ fresh sawn off hearts and is cut from very mature trees of furniture quality timber. 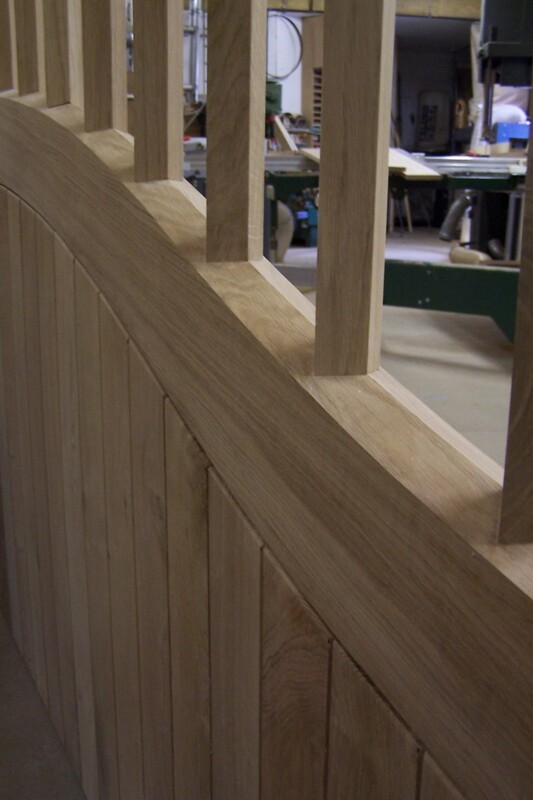 These will air dry over time but will not have major splits like beam stock. 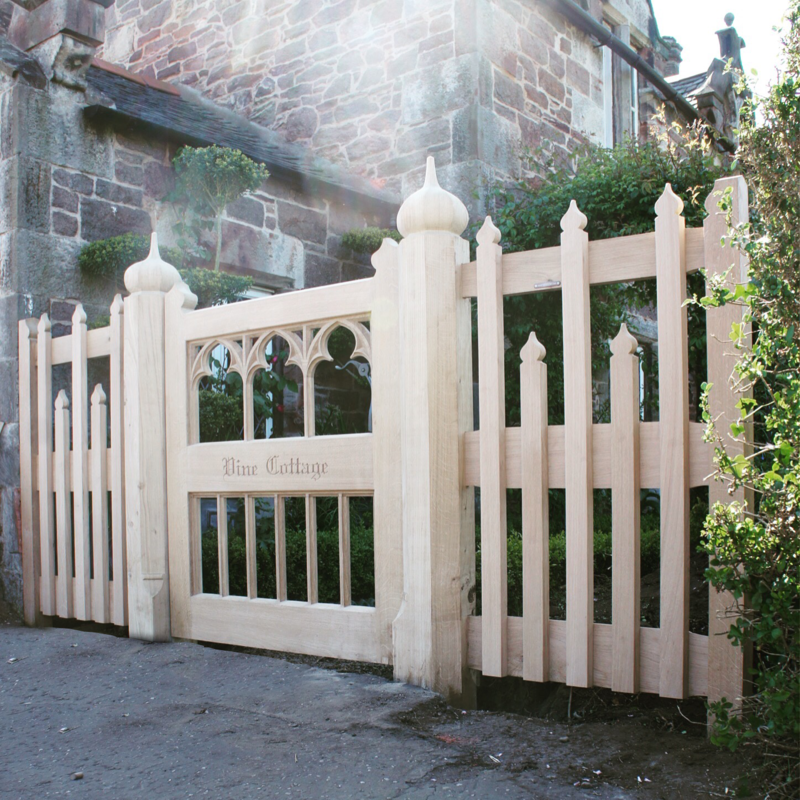 The gate and fence were also installed by us. 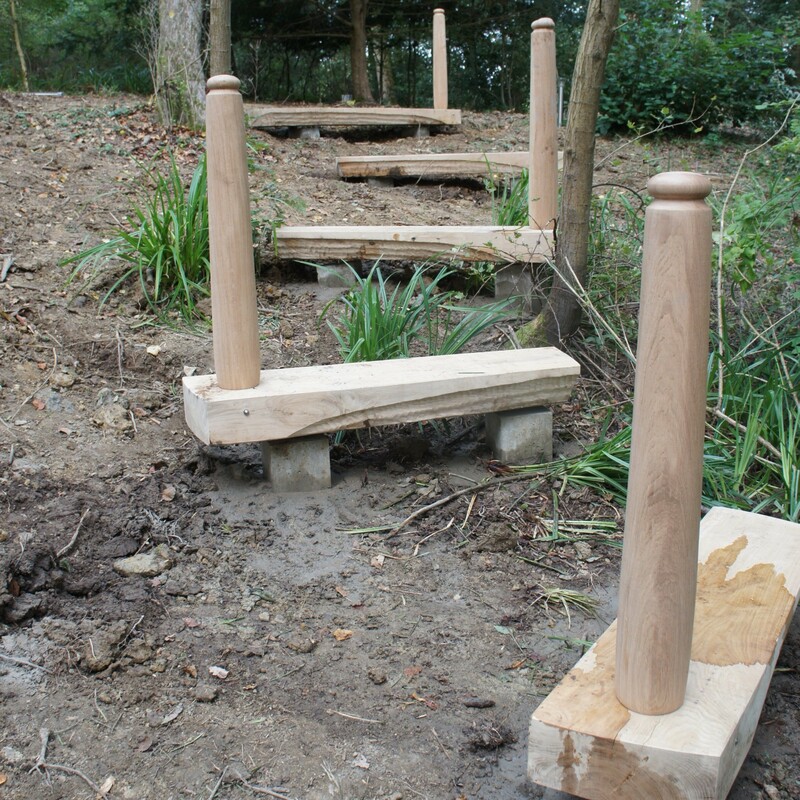 Hole dug by the local workers to our plans. 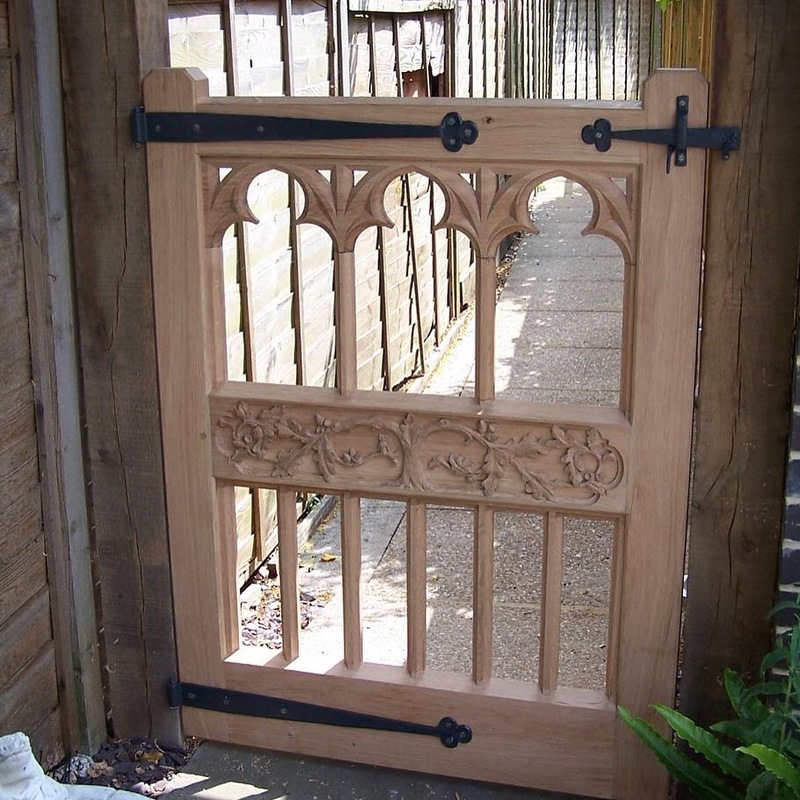 The gate also sports blacksmith ironmongery to our requirements. 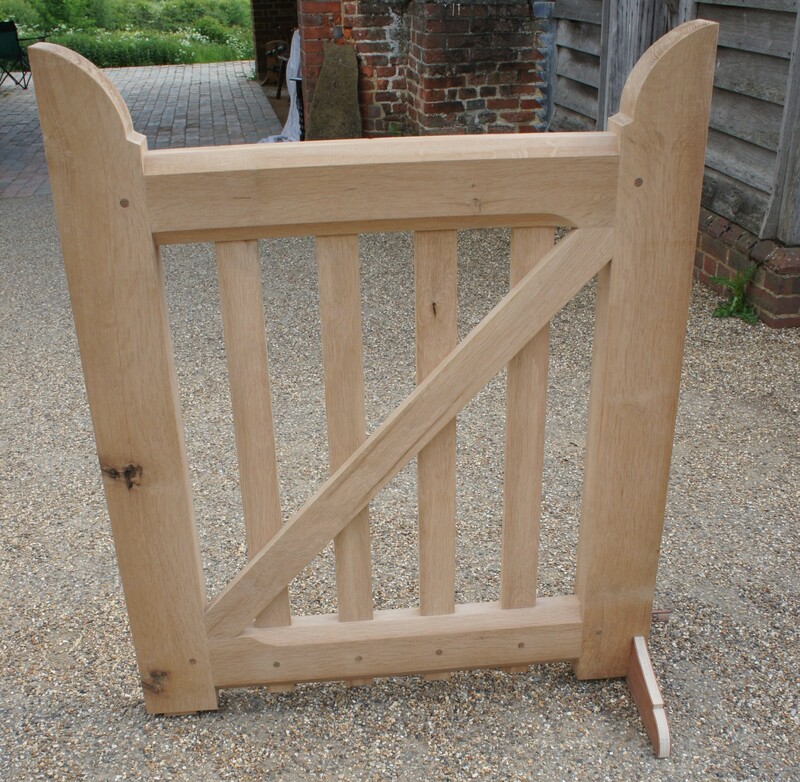 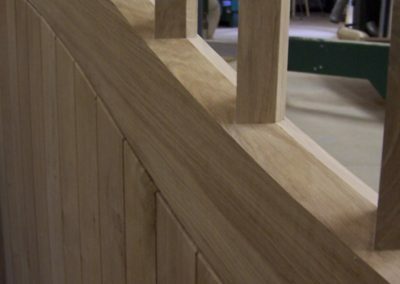 A pair of automated driveways gates made of oak to our design. 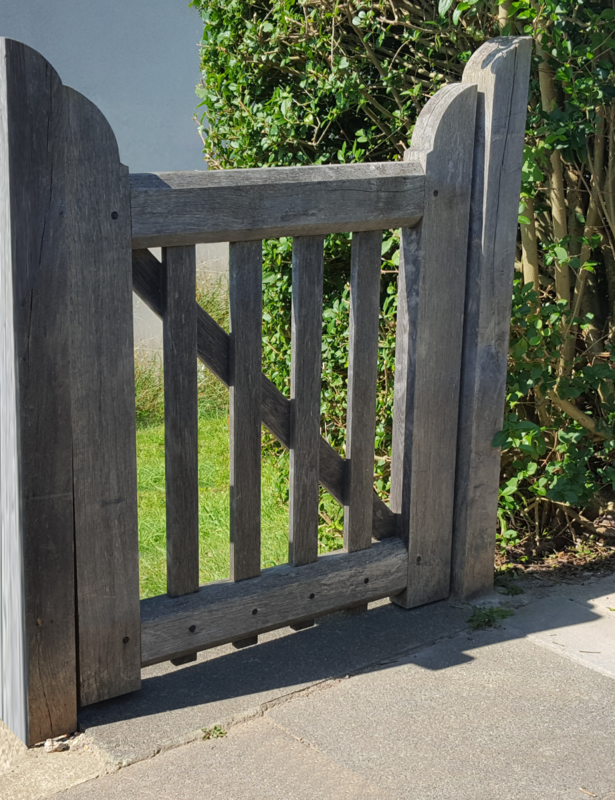 The gates are double board so that they look the same from both sides. 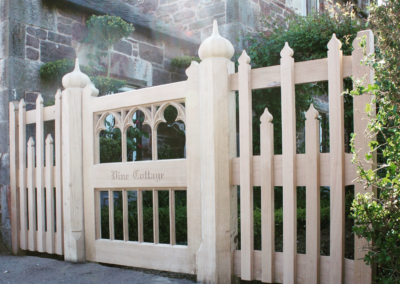 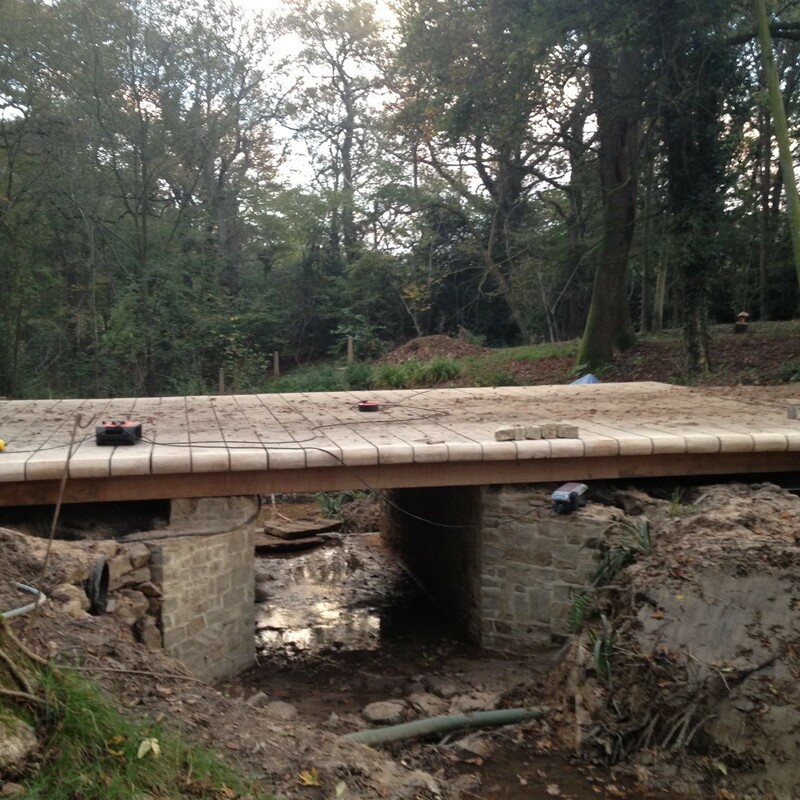 The cast metal piers were purchased by the client from an auction prior to manufacture of the gates. 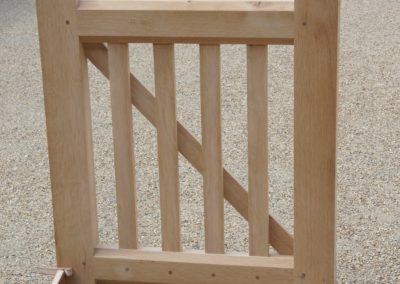 The piers dictated the size of the gates and the hinge positions. The half board and rail design was chosen as the gates’ location is very exposed and the wind pressure high. 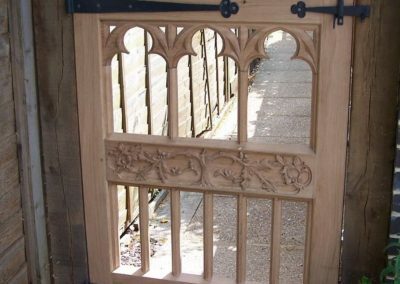 The client brief was to add interest to the corner of there garden and fulfil a long term want to own Gothic tracery. 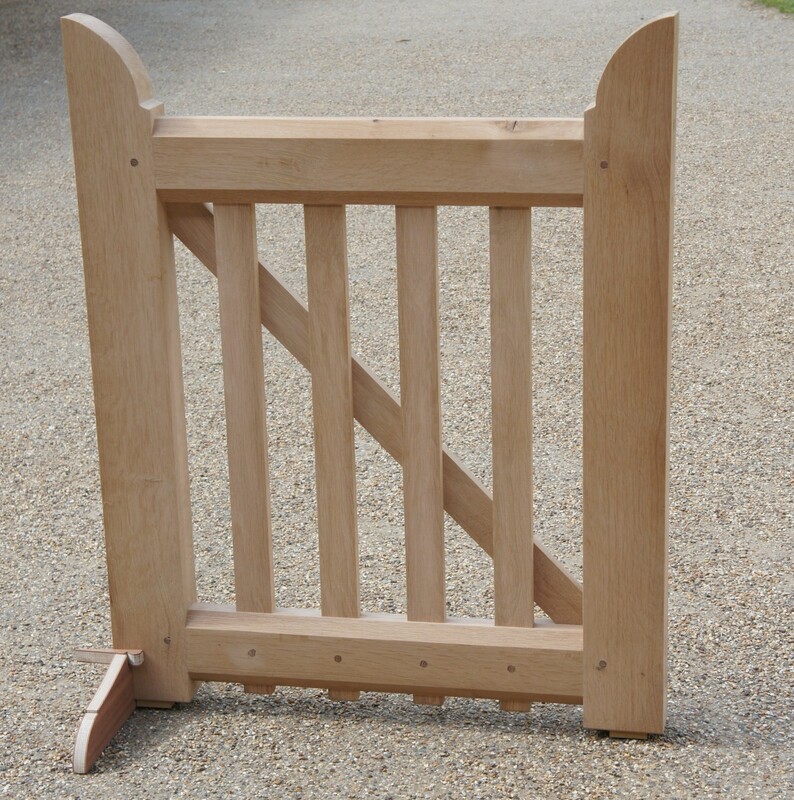 The gate also needed to keep the clients little dogs from breaking free but still allowed them to view out. 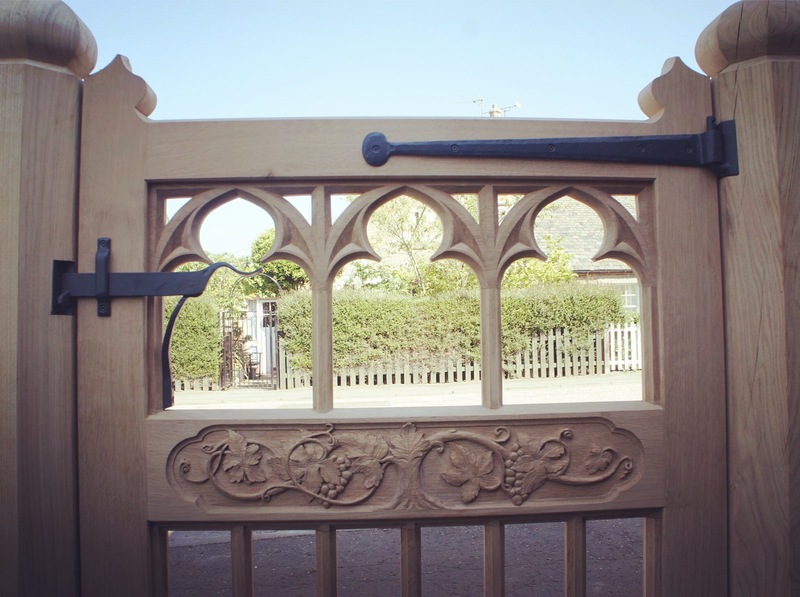 The carved panel has been personalised and holds a story that’s important to the client. 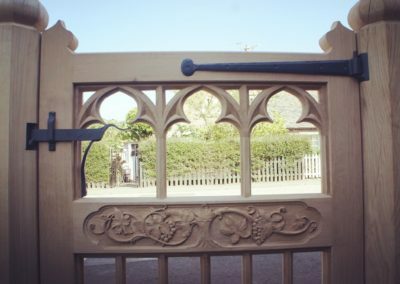 The gate is also detailed with blacksmith hinges. 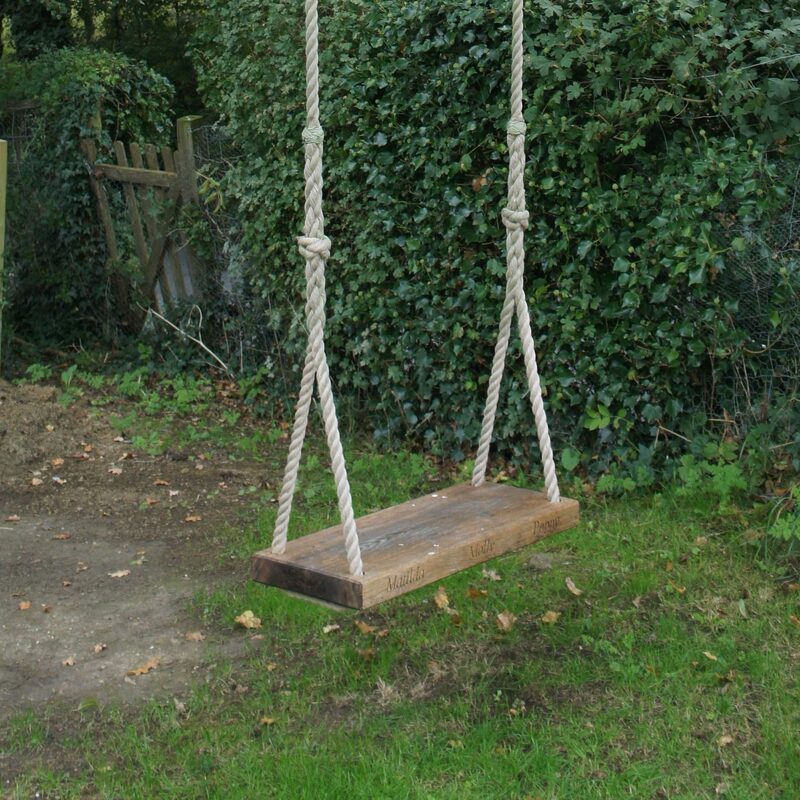 Hand carved, custom swings, perfect for any sized garden. 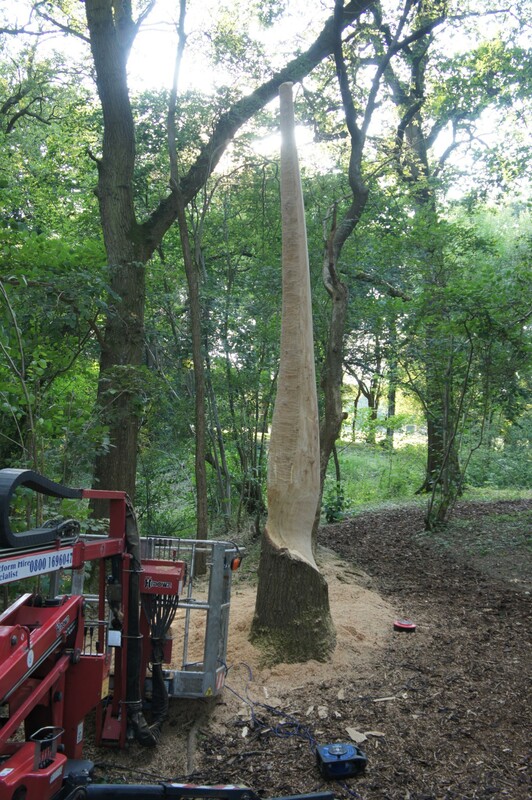 Turning standing trees into bespoke sculptures.